The 2014 World Cup is finally here! The quadrennial tournament kicked off Thursday when Brazil played Croatia in Sao Paulo. The tournament will mark the 20th edition of the World Cup, which will culminate with the final on July 13 in Rio de Janeiro. For Brazil, it is the second time the country will serve as host. The first time, in 1950, the finale ended in disaster for the hosts after Uruguay defeated Brazil to capture the title. The World Cup will feature 32 nations -- placed in eight groups with four teams apiece -- and a total of 64 games. Defending champion Spain will have to contend with the likes of Brazil, Germany, Argentina and Italy if it wants to retain its title. The United States has qualified for its seventh straight World Cup and will be looking to get out of a very tough group that features Germany, Portugal and Ghana. 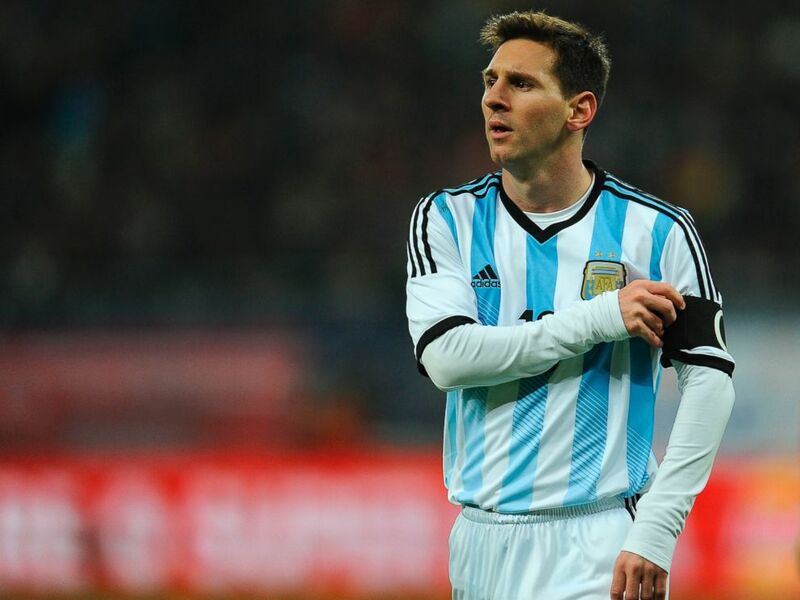 Winners of two World Cups (1978 and 1986), Argentina figures again to be one of the favorites for the title. The team features Lionel Messi, one of the greatest players in the world at the moment, as well as Sergio Aguero, who is also the son-in-law of the great Diego Maradona. The host nation has won the World Cup five times (1958, 1962, 1970, 1994 and 2002) and will be going for a sixth -- the so-called La Sexta -- before a home crowd. Anything short of lifting the trophy will be considered a failure. Widespread protests and strikes have marred the lead-up to the tournament, especially in Sao Paulo, as riot police have been used to try and maintain order. Brazil's response to South Africa's vuvuzela. The noisemaker is a small rattle that is less annoying and easier on the ears than the horn made famous four years ago. Despite that, the rattle has been banned from stadiums during games. Whenever play in soccer is stopped. The term also refers to all free kicks and corner kicks, often referred to as "dead ball situations." ESPN, along with ESPN2 and ABC, will broadcast all 64 games live: ESPN will televise 43 matches, while ESPN2 will air 11. ABC will air 10 games, including the final on July 13. That's the name of the tournament's official mascot. He's a Brazilian three-banded armadillo and his likeness has been plastered everywhere. That is the sweet sound of success in soccer. There aren't too many goals in a game so pay attention. No player is allowed to use their hands -- unless you're the goalkeeper or Maradona! A four-time World Cup champion (1934, 1938, 1982 and 2006), the Italians are in a rebuilding phase. The team should be fun to watch since they feature scoring Mario Balotelli. You just never know what he's going to say or do. 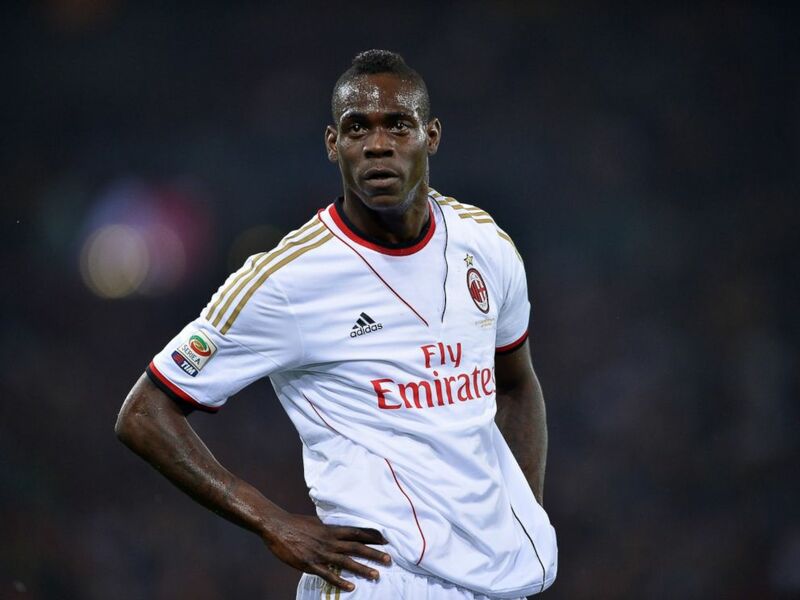 AC Milan's forward Mario Balotelli on April 25, 2014 at the Olympic stadium in Rome. The Japanese may love baseball, but they have become increasingly good at soccer and are one of the strongest teams out of Asia. This is the fifth straight World Cup for Japan, who are coached by Alberto Zaccheroni, an Italian. The U.S. coach has been to the World Cup before. As a player, he won the 1990 tournament with then-West Germany and coached the team to a third-place finish at the 2006 tournament. 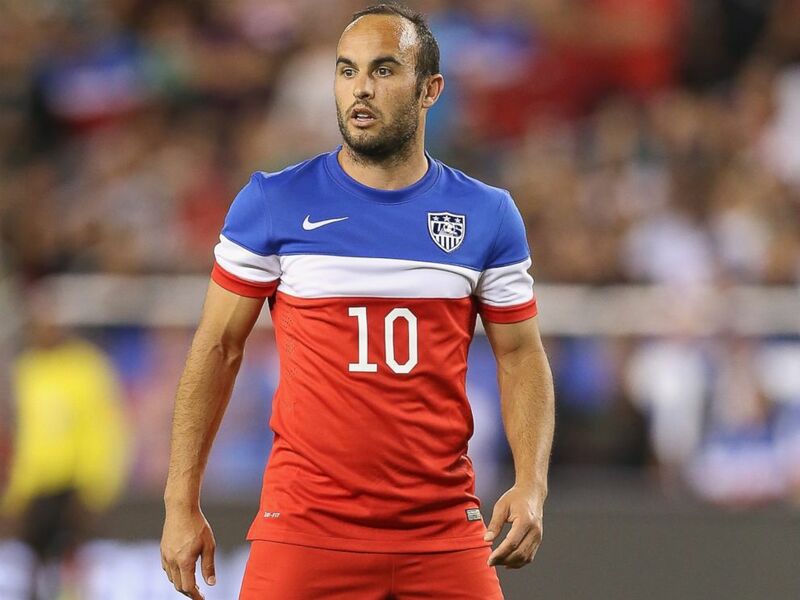 Arguably the best player ever to represent the USA, Donovan will not be part of the team in Brazil. His 2010 goal against Algeria to put the Americans in the knockout round remains one of the best moments in American soccer history. Landon Donovan #10 of USA during the International Friendly against Mexico at University of Phoenix Stadium on April 2, 2014 in Glendale, Arizona. Of the 12 cities where the games will be played. Manuas is the one located the farthest distance from the others. Situated deep in the Amazon jungle, Manaus is a natural beauty. The United States will travel there to play Portugal on June 22 at the newly-built Arena Amazonia. Portugal's Cristiano Ronaldo may be the player everyone in the world will be focused on but Brazilians will have their eyes on Neymar. The Barcelona striker has the weight of an entire nation on his shoulders. Will he excel or wilt under the pressure? Often difficult for casual observers to understand, players are considered offside when the player "is nearer to his opponents' goal line than both the ball and the second-last opponent," according to FIFA. If that's hard to comprehend, you're not alone. Referees often mess up this call. He may not playing at this World Cup, but Pele remains a soccer icon. Expect to see and hear from him a lot over the next four weeks -- especially since he's appearing in those Subway commercials. 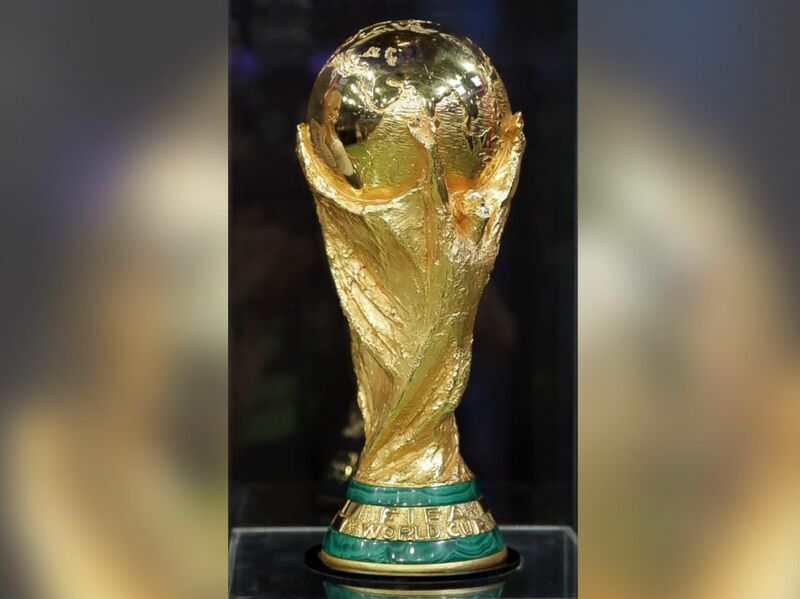 The World Cup finals feature 32 teams (Brazil qualified automatically as host nation). A total of 203 nations played qualifying games over the past three years for a chance to play in Brazil. Site of the World Cup final at the iconic Maracana Stadium, Rio will be like New Orleans on steroids. Expect the city -- and its famed Copacabana beach -- to be the center of the party for the next four weeks. The reigning World Cup champions are looking to add a second star to their red jerseys. The Spanish have been handed a tough group this time and will have to face the Netherlands (the team it beat in the 2010 final) in its first game. General view of the FIFA World Cup Trophy at Univision Headquarters on April 15, 2014 in Miami, Fla.
Games in the first round, which follow a round-robin format, can end in a tie (more commonly referred to as a draw) after 90 minutes. However, the knockout phase features a bracket where teams are eliminated. If a game ends in a draw, an additional 30 minutes of extra time is played. If that ends in a stalemate, the game is decided via a shootout. The United States is in Group G -- also known as the "Group of Death" -- along with Germany, Portugal and Ghana. The Americans will open against Ghana on June 16, play Portugal on June 22 and close out the group stage June 26 versus Germany. The USA are underdogs, but don't rule out a Cinderella run. The tournament is loaded with veteran superstars. For the USA, six players who were on the 2010 team are back -- goalkeepers Tim Howard and Brad Guzan, midfielder Michael Bradley, strikers Jozy Altidore and Clint Dempsey as well as midfielder DaMarcus Beasley, who is poised to become the first American to play in four World Cups. The star striker is once again the player all of England is relying on. He has had a wonderful club career but his time with England has not been so stellar. Is this the year England wins it all? Every World Cup has one -- a player who ends up making the difference. Who will it be this time? Stay tuned. Referees hand out (actually they wave them in the air) yellow cards whenever a player commits a serious foul. Two yellow cards will trigger an automatic red, which means a player is ejected from the game. He may be one of the best players on the planet, but his Sweden team failed to qualify. In other words, you won't be seeing him at the World Cup, although a recent viral campaign with the hastag #VemIbra has tried to get him to show up. No word on if he will attend. Get real-time World Cup results and news about all the matches you care about delivered right to your phone every day. To start, just "star" this story in ABC News' phone app. More of a casual fan? 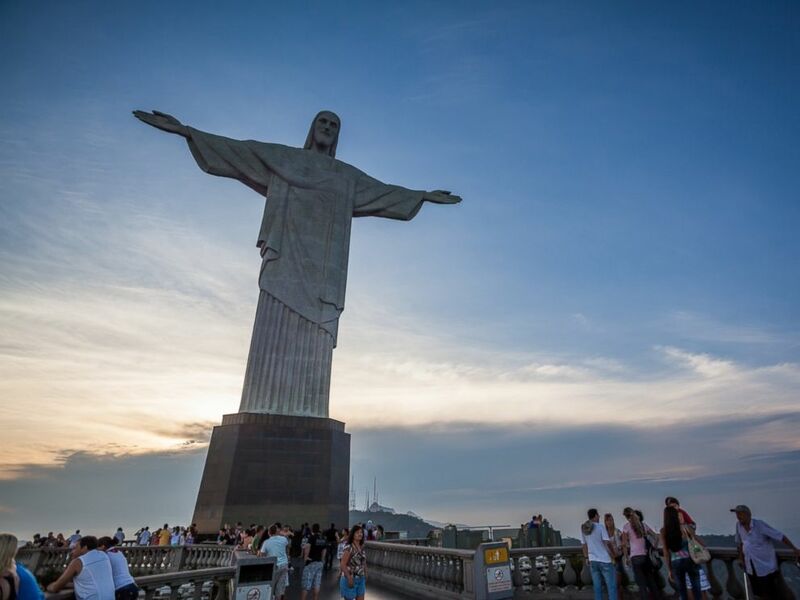 Sign up for occasional dispatches from Brazil -- including the best photos and limited highlights -- by "starring" this story. Download ABC News for iPhone here or ABC News for Android here.